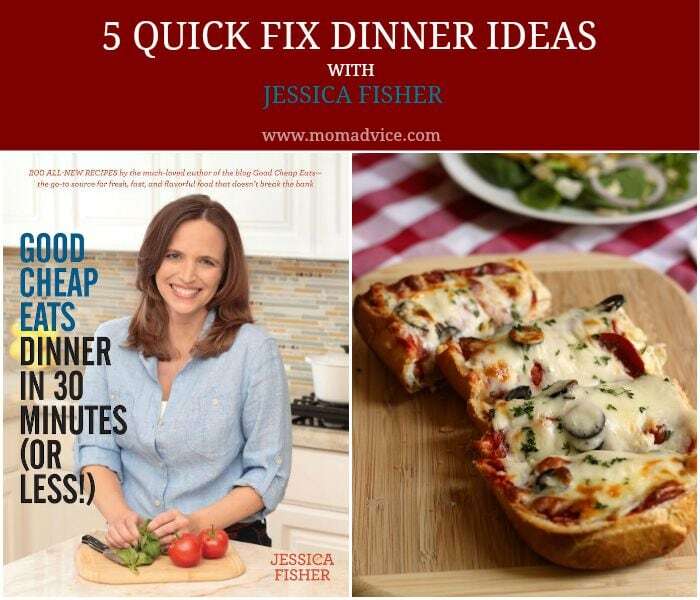 McCormick FlavorPrint + 3 Fun Ideas for Dinner! 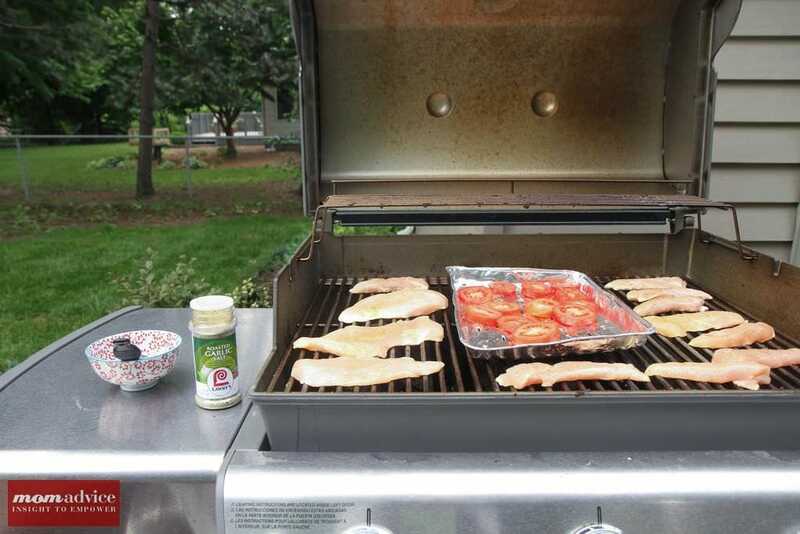 *This post is sponsored by McCormick Spice in partnership with the One2One Network. One of my late night past times is staying up to take ridiculous quizzes like, “What 80’s Boyfriend Should You Have?,” and “What OITNB Character Would You Be?” and one of my favorites, “What Country Should You Live In,” as though these quizzes will hold the deep meaning to life. In case you are wondering, I am Piper, Lloyd Dobbler from Say Anything should be my boyfriend, & I belong in Paris. All completely accurate & true. 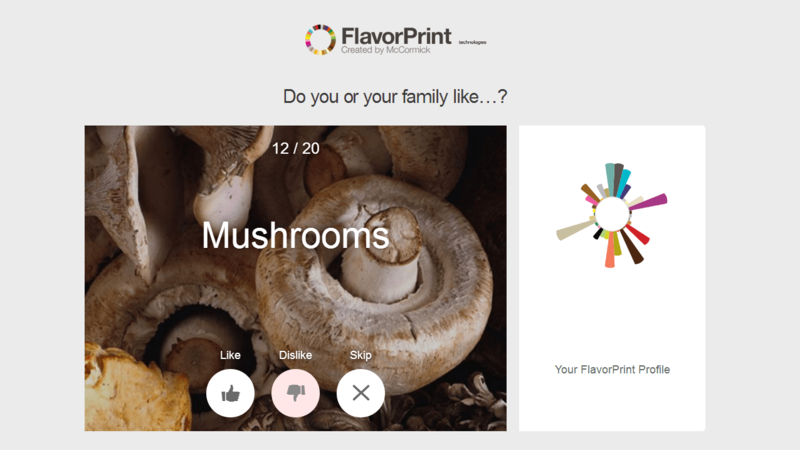 Well, if you are a quiz junkie like, me you will love the new FlavorPrint tool from MCcormick Spice that is a lot like those quizzes you love, but actually will be useful because you can plan your family’s meal around the answers you provide. For someone who is stumped for fresh ideas in the summer and who has found herself gravitating towards the same three dishes for ease, I couldn’t wait to take the quiz and figure out what options would fit our family’s needs. McCormick has found that each person has a unique flavor “fingerprint” that is conveyed through a distinct visual mark, which has 33 “spikes” to represent different flavors in your personal flavor profile. The bigger the spike, the more prominent the flavor. Through this quiz, it can identify your own personal tastes and provide delicious options that fit that unique profile for your dinner hour. The quiz takes about two minutes of answering questions like, “Do you like mint?” and then “How about onions?” Once you have completed the quiz, it will provide meal options for you that you can try. If you like the options, you can dive in deeper and give them a thumbs up, answer more questions about your personal taste, share what you always have on hand in your pantry, and even tell them what type of equipment you have or don’t have in your kitchen. It will continue to share more and more personalized meal options as you completely more answers. For quiz junkies like me, it was a little slice of heaven. For families that suffer from food allergies or sensitivities, you can also share what you need to avoid. I love that Wheat was an option on this so that the recipes that were shown for our family were gluten-free meal options, helping us really have useful choices for us. The last thing I want to see is all the wheaty goodness I can’t indulge in. Thanks, FlavorPrint, for making me feel like I actually have food choices. After answering the questions, these were the flavors that rose to the top. Based on this information, FlavorPrint offered some meal ideas for us. 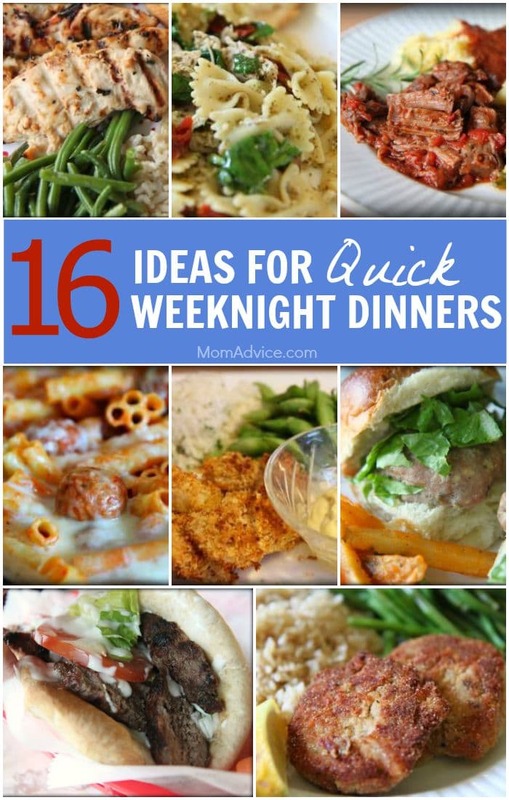 After I picked a meal to try, I answered more questions on the quiz and got more meal ideas. 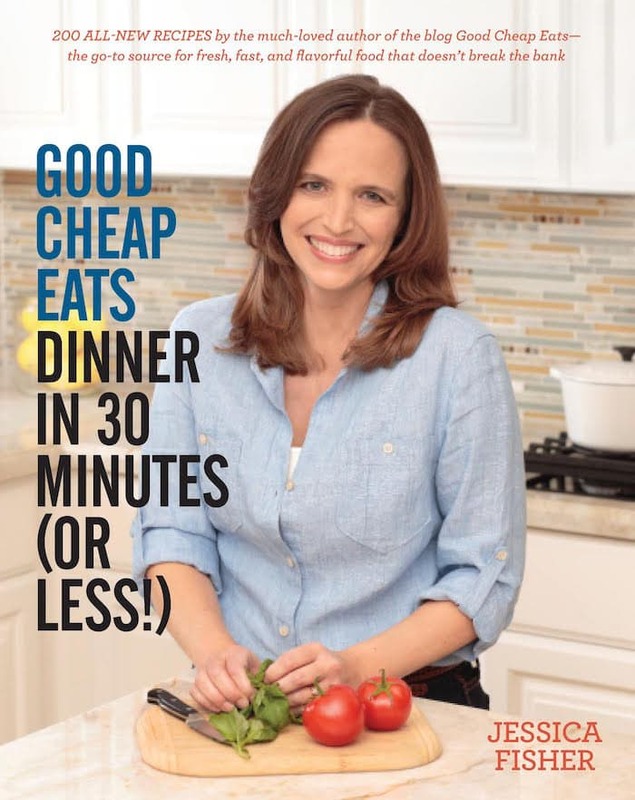 Here are three meal ideas that FlavorPrint suggested for me. 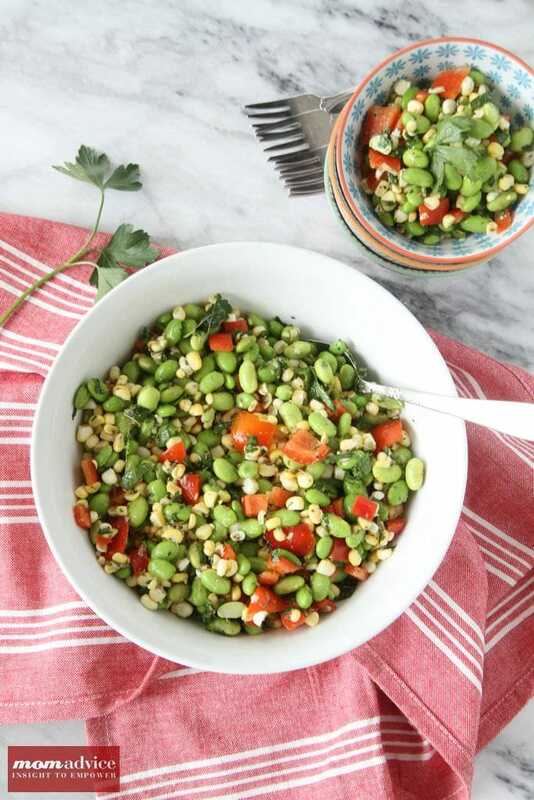 The first dish it recommended for me was a Edamame and Corn Salad with Oregano Vinaigrette. 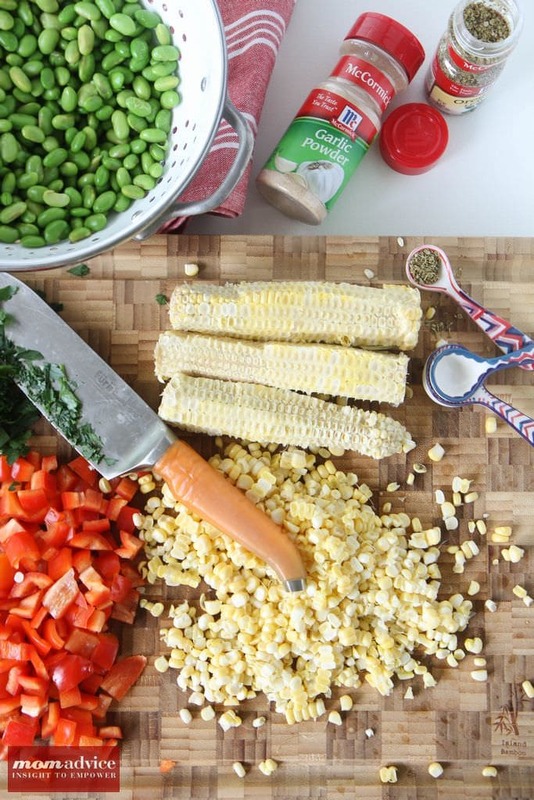 I can see exactly why it would recommend this for me because I LOVE edamame and I love corn. Since sourness is something I love, the acidic dressing just makes sense for me. This salad had fresh corn, red bell peppers, parsley, and edamame in it. 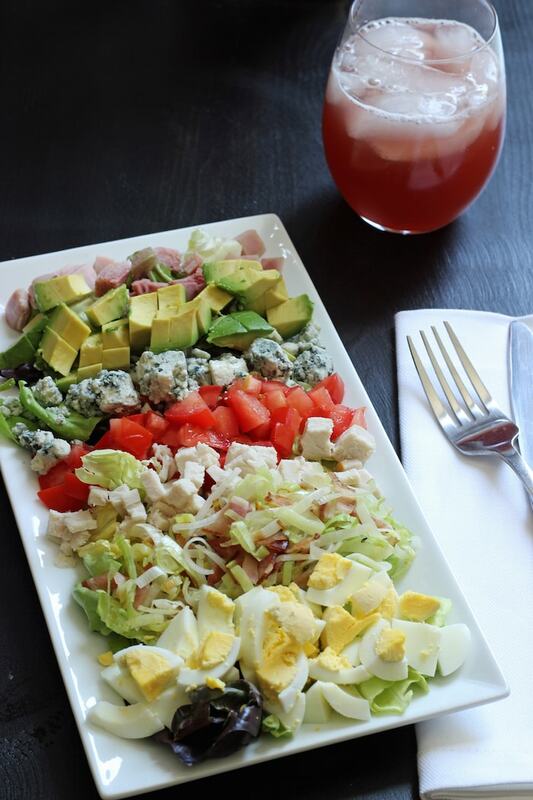 This would be a great dish to take to a cookout and I have been eating the leftovers as a side dish for my lunch. 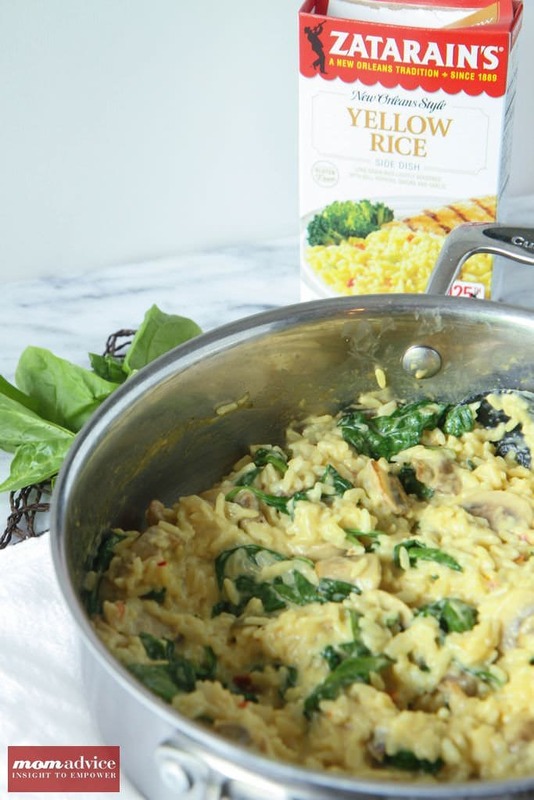 Playing on my love for all things cheesy, the next recommendation that was made was this Creamy Spinach & Mushroom Risotto made from an easy boxed rice mix. 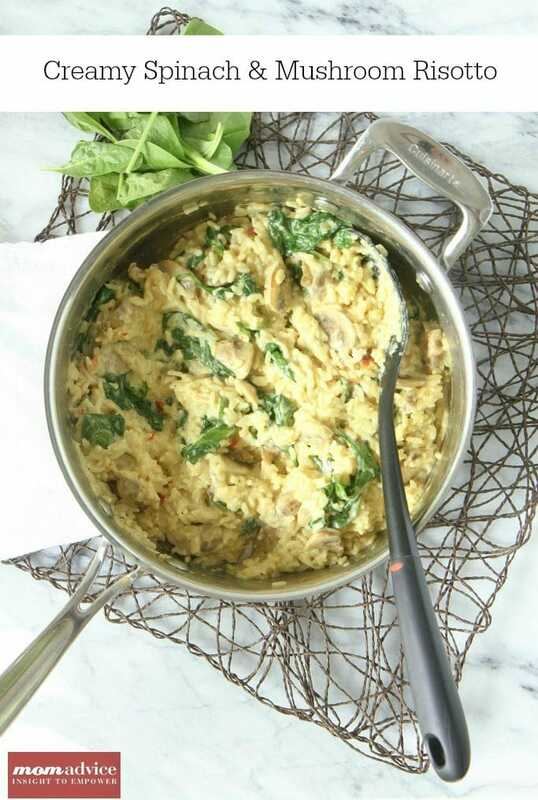 Although I wouldn’t say that this would be in our regular rotation, I know that on a busy weeknight of activities, this would be a fun side to add with a little grilled meat and is much easier to create than babysitting a pot of homemade risotto. Let’s be honest…ain’t nobody got time for that. 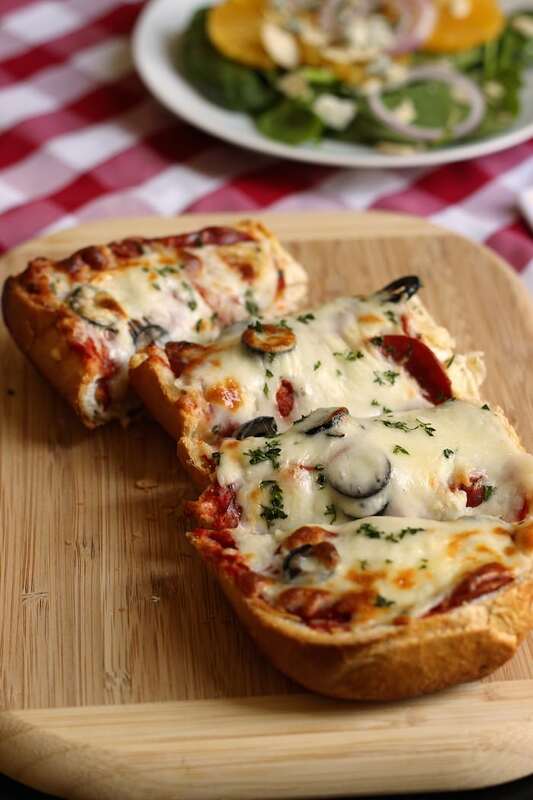 My kids really loved this dish and I found it comforting & satisfying. We called this another dinner win! 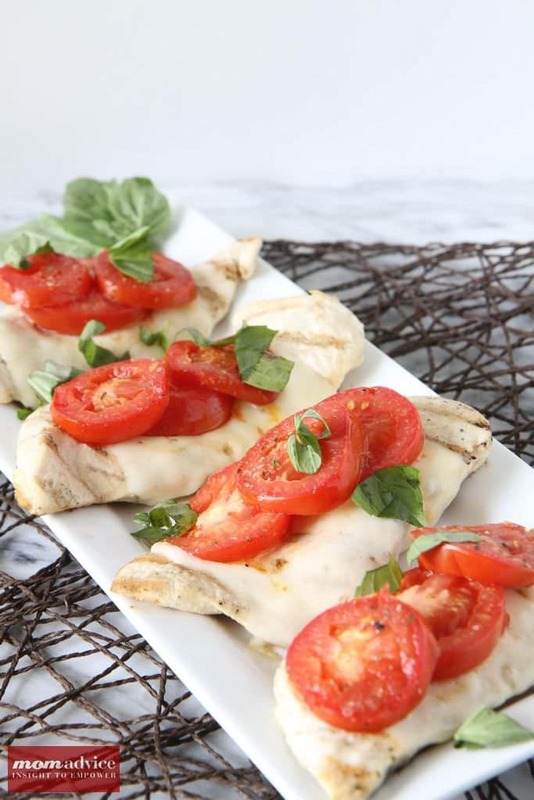 The last dish recommended was a Grilled Chicken Caprese which could not have fit our family more perfectly. 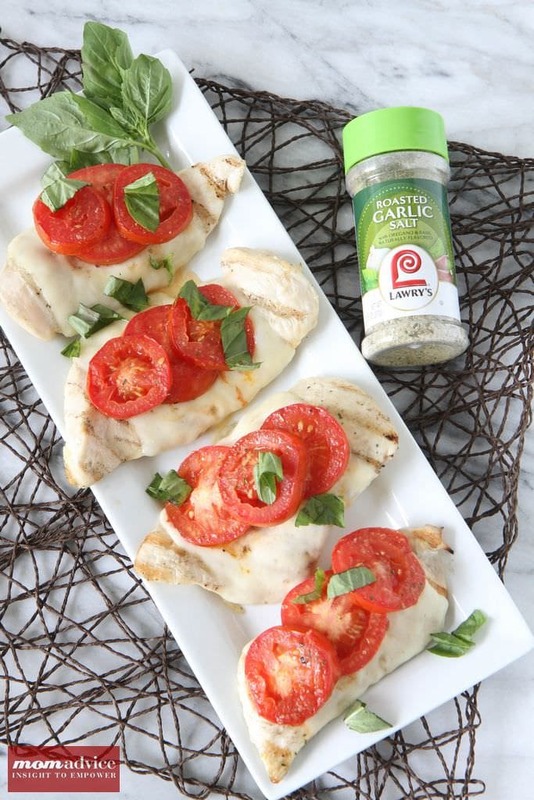 You may recall, I had just shared a 5-ingredient Caprese Pork Chop recipe that our family loved. 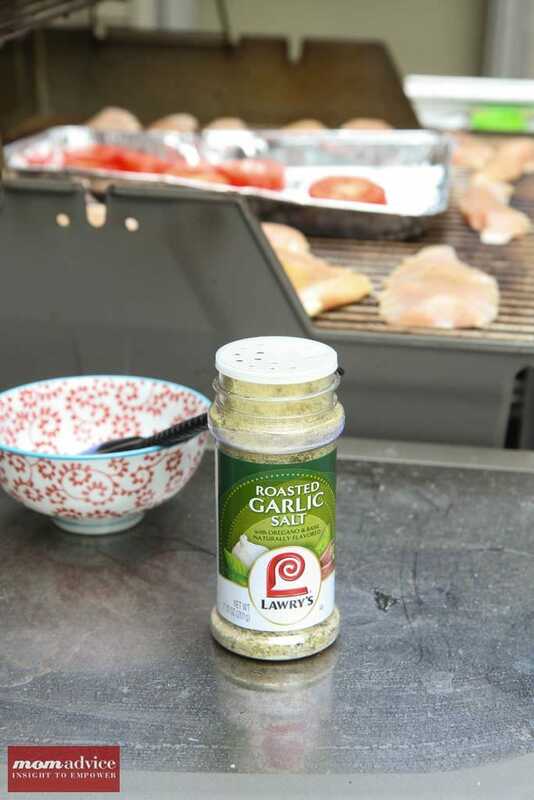 This mimicked those same flavors, but did not require marinating the chicken, but utilized Lawry’s Roasted Garlic Salt with Oregano & Basil instead and a grilled tomato that was sprinkled with the same. My family absolutely loved this dinner option and my only regret was not making a double batch of these. 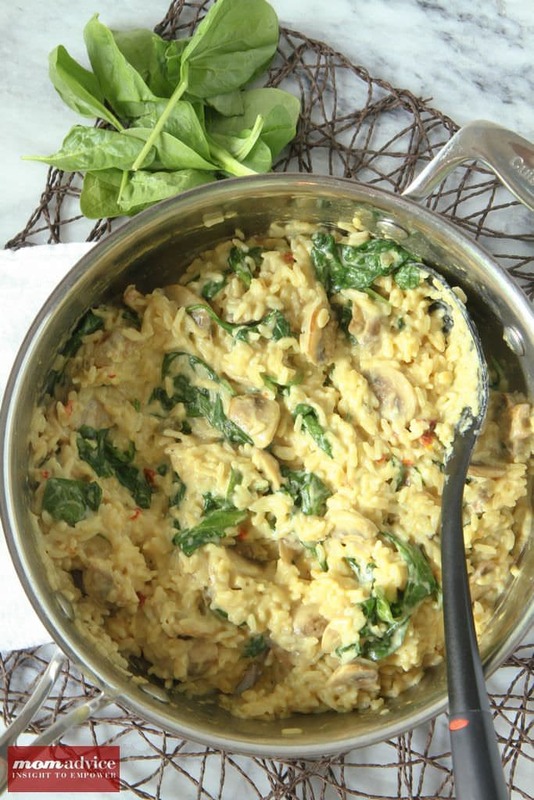 It paired well with the risotto and would be a perfect summer meal to entertain with. 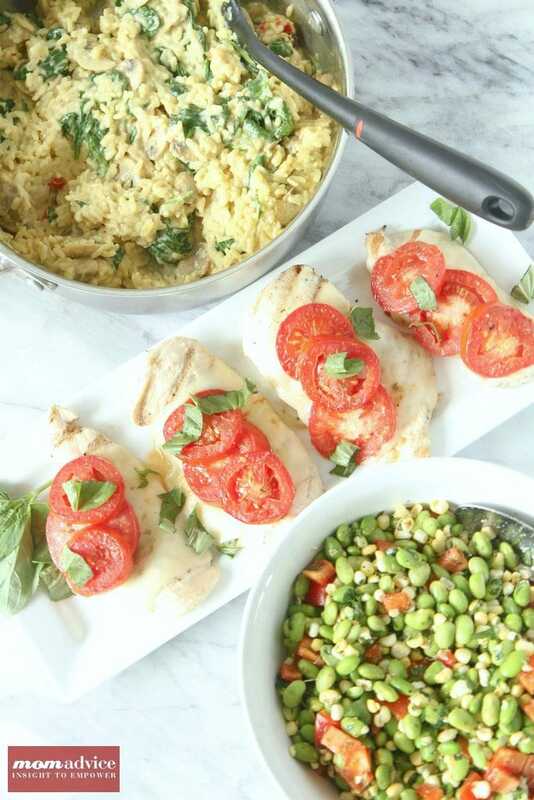 As you can see, we got some great dinner ideas using the FlavorPrint tool and we can’t wait to continue quiz-taking to find more meal ideas for our family. I highly recommend you take the quiz too and get some fresh ideas for your dinner hour. 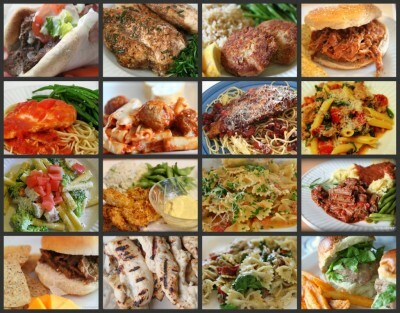 In the meantime, I have created three pinnable images (below) for the meals that we tried, in case your FlavorProfile looks anything like ours! Cheers to summertime meal ease & quizzes that give us actually useful information for our families… although wouldn’t you be sad if you didn’t know your destiny resides in Paris? I hope you love it as much as we did!